Tours of the new High School begin at 3:30 PM and continue to 4:45 PM. Watch the Boys’ Soccer Team home opener in back fo the building. The back of our building and the sports fields are now connected. 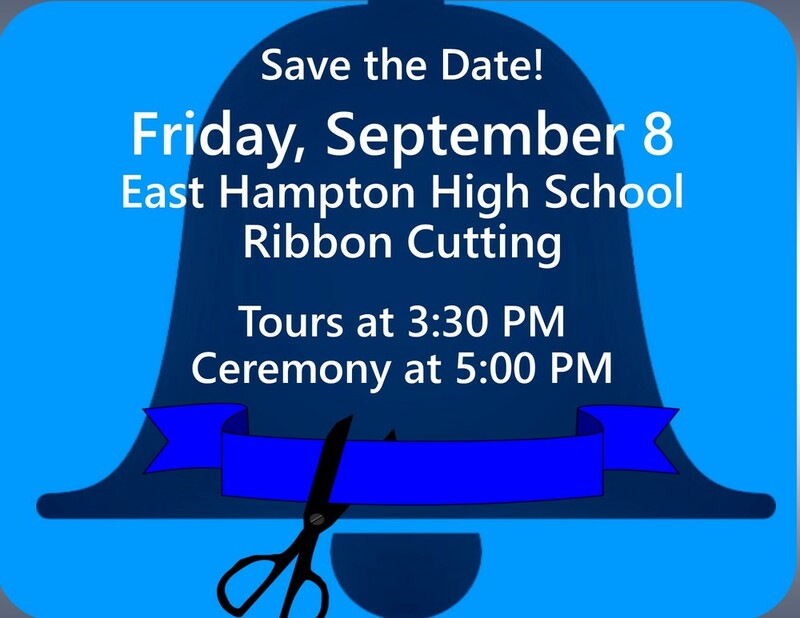 Ribbon Cutting officially takes place at 5:00 PM. Celebration in the Auditorium at 5:15 PM. Refreshments and additional tours after the program.